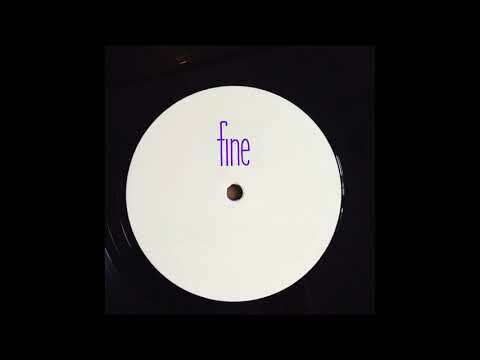 Johannes Albert (soundcloud) is coming out with some serious heat on his latest release on the FINE imprint. The EP “Lousy Livin’” isnt destined for lousy dancefloor behaviour. The FINE label , who’s no stranger to being featured on Bolting Bits, is treating us to their 6th release with a 4-title EP from one of the label’s co-founder himself, Johannes Albert (aka J. Albert). If it’s a sign of anything, the Berlin-based label already ran out of stock from the sale of their 12” limited edition promo vinyl. The previous releases from the imprint also featured productions and collaborations from Tilman, the label’s co-honcho, and Italian producer Soutine. The releases on FINE have gathered a loyal following from dancefloor aficionados, as their titles showcase a wide-range of influences, from acid-house to disco, to fill up dancefloors around the world. Johannes is an experienced and well-established producer who shows off his skills and talent on this EP. He remains true to what made his productions dancefloor successes: looped discofunk samples, heavy disco kicks and the strong presence of a funky bassline. The 1st track, “Covered Call” is a perfect example of why Johannes’s formula works. An uplifting looped disco sample track with a heavy kick and a funky bassline as its backbone. “Frisco Fun” follows suite with a similar formula, accompanied by percussions and muffled claps that embraces and bonifies the groove of the track. The third track, “Holyhead highness” is a proper bridge track when any respectable disc jockey is about to throw down some serious business, using a consistent groovy sampled loop, hi-hats and drum machine pattern providing a background beat. To round up the EP, “Duke Dynamics” is a thumpy 4-to-the-floor disco house track with added acid aesthetic bass-heavy kicks. “Lousy Livin’” EP is set to be released on october 3rd 2017 on FINE. Mark it on your calendar. You can pre-order digital copies of the EP on FINE’s bandcamp page.